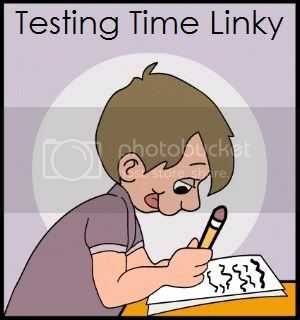 Jennifer Kadar created a Testing Time Linky Party at her blog, Empowering Little Learners. 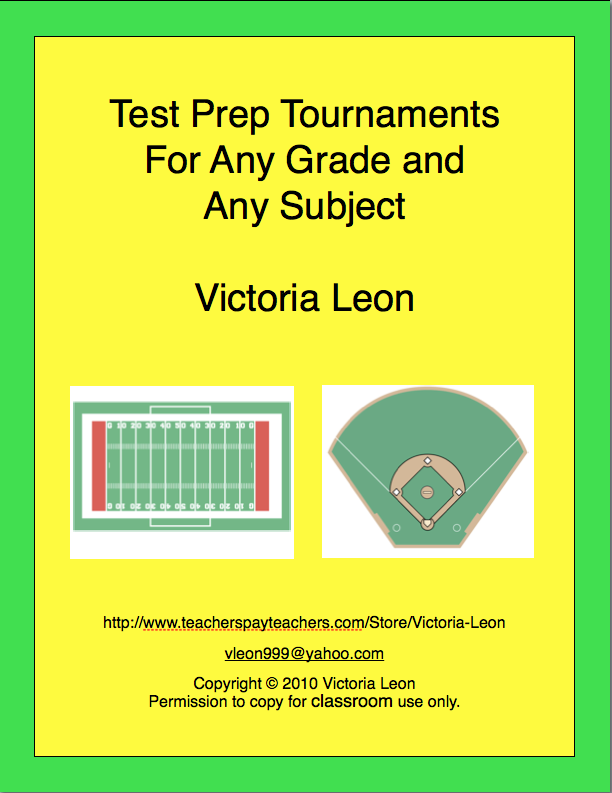 Go to http://empoweringlittlelearners.blogspot.com/2012/02/high-stakes-testing-link-up.html to find out how other teachers prepare for their state tests. Where do you teach? I teach in the Los Angeles Unified School District. What grade do you teach? I teach third grade. What tests do you give during this time of year and/or all year? My students take three Language Arts and Math district mandated tests to get ready for the California Standards Test in May. Does the test count for anything for you personally? (Is it attached to any of your pay, etc.) My school district has not tied our teaching salary with test scores, but there always seem to be a discussion about it for the future. What do you do to prepare for the test? 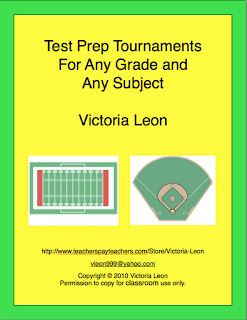 I prepare my students for the state standardized test beginning on the first day of school. I teach the third grade standards and beyond by the end of March. I spend all of April going back to everything we have learned since September and show my students how it is connected. My students have fun reviewing for the Reading and Math tests using my tournaments. They are more than ready to take the California Standards Test in May. Can you use the data from the test to help drive your instruction? I use the test data and am very strategic when it comes to helping students during independent time. Whether it is a reading or math standard, I work with each student on an individual basis until that student has a grasp of the concept. If you are comfortable, how do you feel about the test? I truly believe that the state tests should never be tied with a teacher’s salary. The results of specific classrooms should not be published for the general public. Two years ago, The Los Angeles Times provided the names of teachers in the Los Angeles Unified School District and their class’ test results. This is a bad use of test scores and will only lead to an end to teacher collaboration as teachers become worried about their students’ test scores compared to other teachers’ classroom scores. How long do the tests take? We spend three days taking the Language Arts portion of the California Standards Test and three days taking the Math section. Whether or not you agree with the emphasis of standardized state tests, they are here to stay. For my students, they are able to see for themselves how much they have learned in one year in my class. Go to Jennifer’s Testing Time Linky Party and see other tips to get your students ready for the upcoming state tests.